TRAINSPOTTING & SHALLOW GRAVE. (1996). John Hodge. ****.Hodge is a screenwriter – or at least he has written these two scripts made into successful films. Trainspotter is probably the best known of the two, but “Shallow Grave” managed to win several prestigious awards. 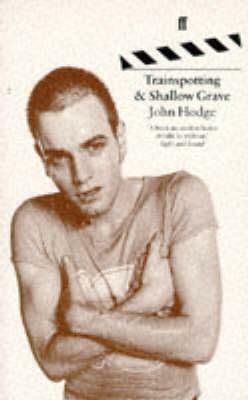 “Trainspotter” was adapted from the novel of the same name by Irvine Welsh. The story was set in Scotland, and told of a group of buds who were all hooked on heroin. It is what kept them together, and what ultimately broke them apart. I’ve seen this film, and will probably never forget some of the scenes. “Shallow Grave” is the story of money and greed vs. friendship. It is a strikingly good scenario. Reading film scripts is different from reading plays. It takes some getting used to, but once you are in the swing of the thing, it becomes a very revealing way to understand the film. I recommend both of these works to anyone who loves film, and, in addition is a follower of the noir approach to literature. Recommended. John Hodge has wrote two very important British films here. Both deeply black comedy and yet both deal with deadly serious issues. The scripts neither shy away from their concepts nor make them entirely unpalatable. This is testament to just how good Hodge is.HIGHLY recommended! Gross but also funny and well written. Read these by chance as they would not be on my pick up list. Couldn't put the book down. Thought they were both great reads. Though it was only a script of those two movies,but I just love these two movies so much.